Although Theophilus London has continuously been seen hanging around notable figures in “culture” such as Virgil Abloh, Heron Preston, No Vacancy Inn and many more he hadn’t released a project since his Vibes album which released four years ago. Today Theophilus going by his alias “NY THEO” released a new 16 track project via Soundcloud through BEYBEY Records which he is stressing however is not an album. The new project features a slew of features from various artist on vibrant tracks in typical Theo fashion. He also hints at a new album releasing in August throughout the project. 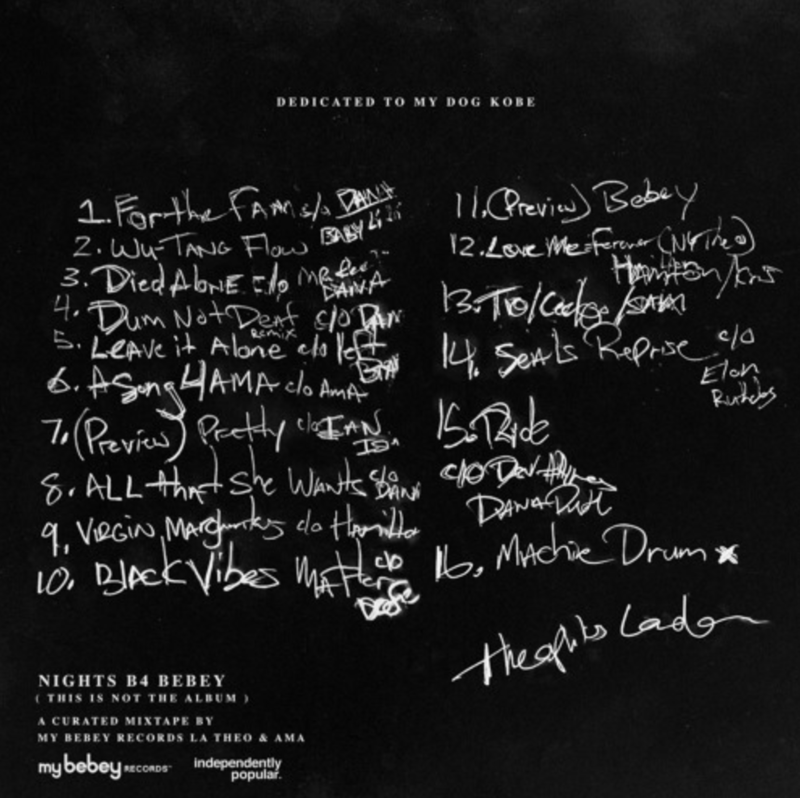 Check “NIGHTS B4 BEYBEY” out below now.